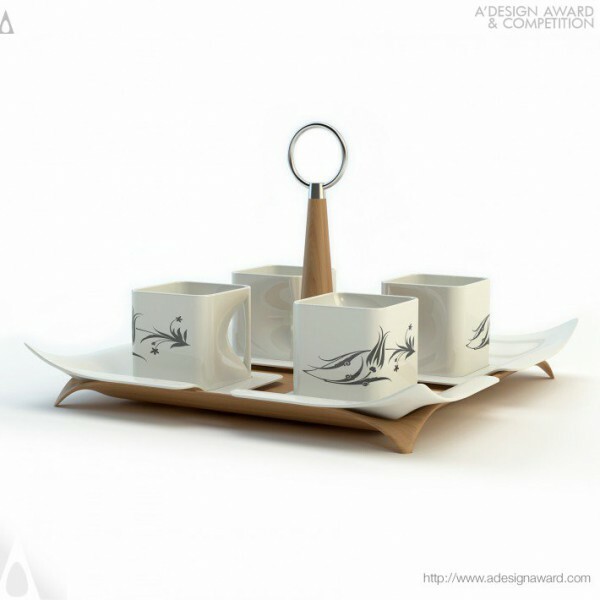 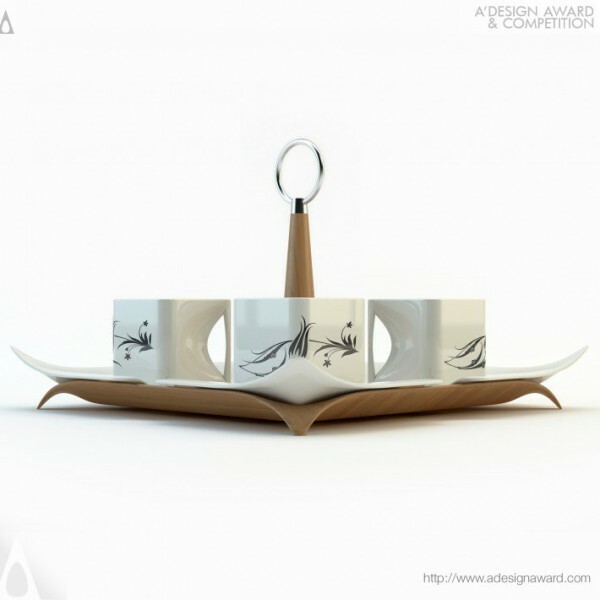 Bora Yıldırım, the maker of the awarded design Award Winning Black Tulip Turkish Coffee Set explicates, The traditionally cylindrical-shaped Turkish coffee cup is redesigned to have a cubic shape. 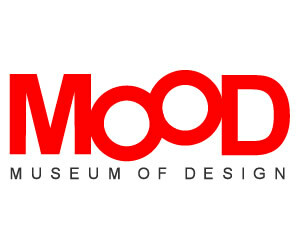 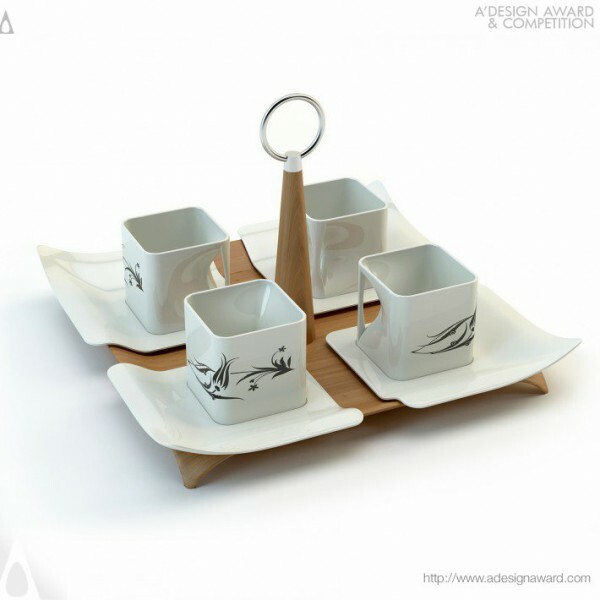 Instead of protruding, the cup handles are integrated into the cubic form of the cup. 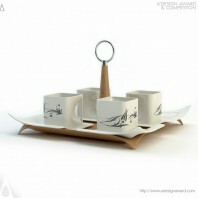 A square-shaped saucer with a cavity to hold the cup and prevent it from slipping complements the overall design. 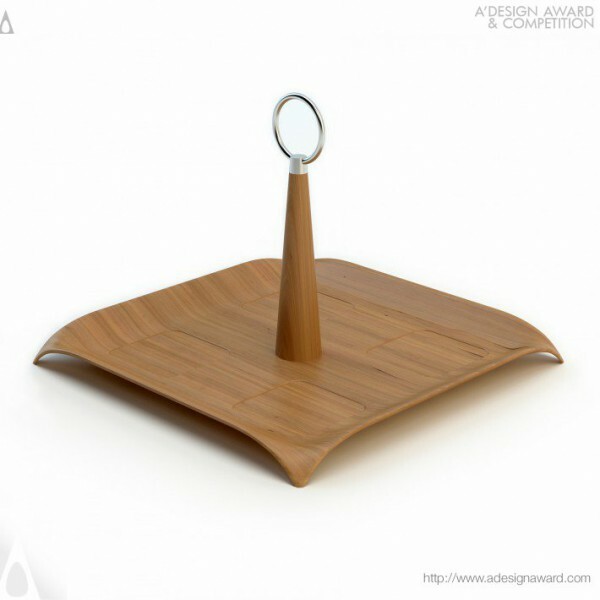 One corner of the saucer is curved up slightly to simplify picking it up. 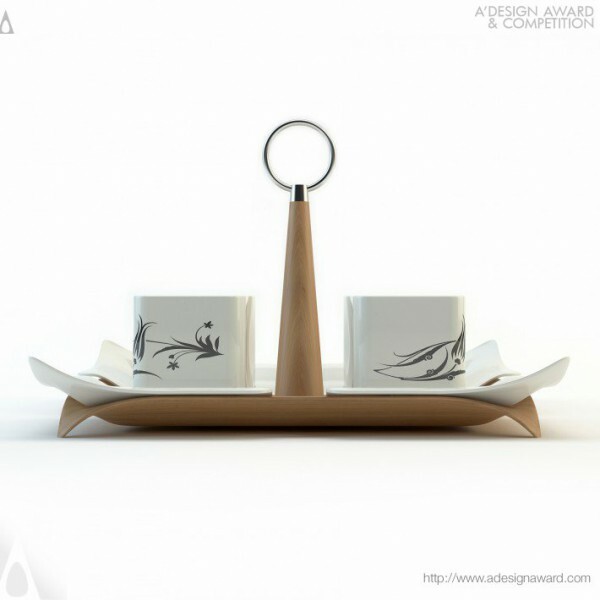 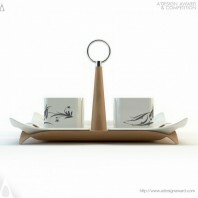 Downward curvature of the tray corner when the saucer is placed on the tray creates a visual impression of a tulip. 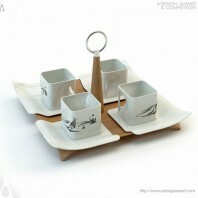 The tray also has cavities on which saucers are placed, which help with carrying and serving..